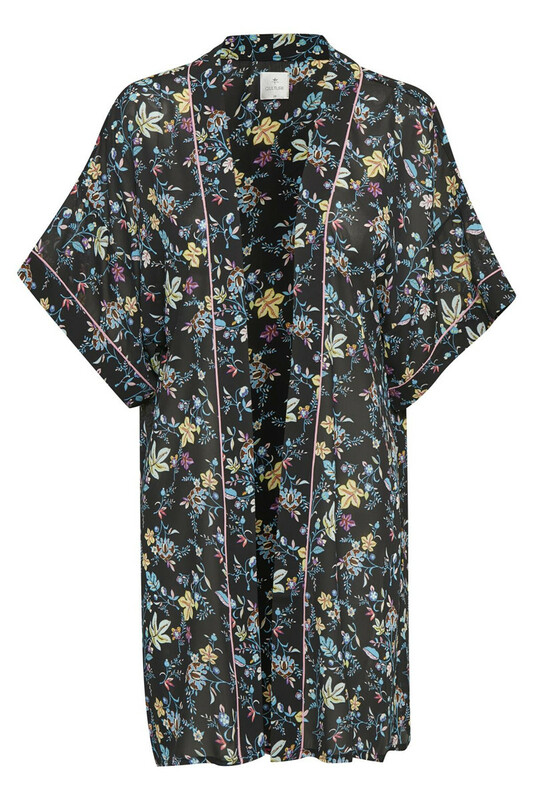 Super nice kimono in all-over flower print. 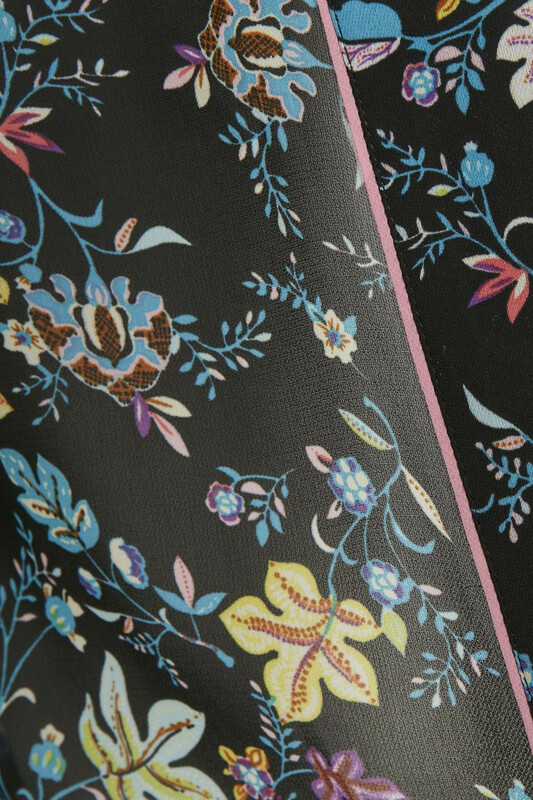 It has short sleeves and the length is just above the knee. 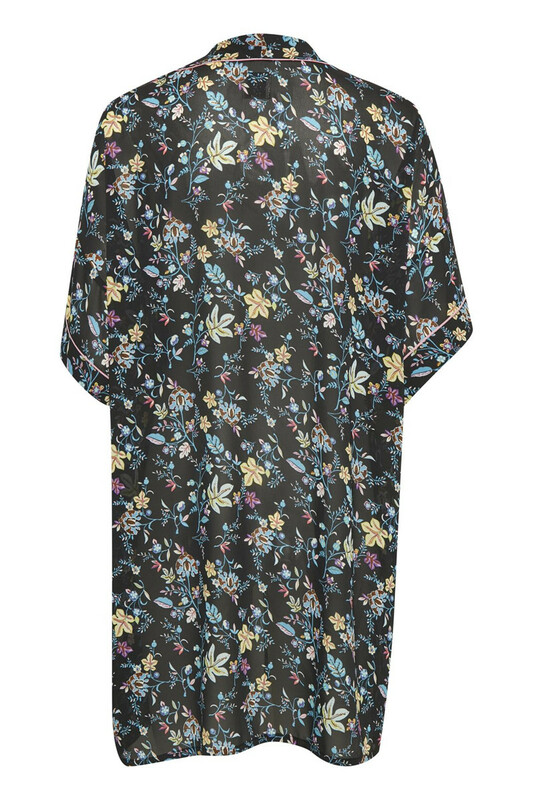 Nice kimono for a dress or for a pair of jeans for a more relaxed look.